Over 40 breweries will participate and each will provide their own sophisticated take on the classic lager beer. The twenty dollar entrance fee includes ten free tastings, a Lagerfest beer drinking mug, and one epicly good time! Killer food provided by Eastside Deli and White Owl Social Club! Go to the Mercury Stranger Tickets online to buy now in advance at a discounted price. Be sure to plan on dancing some of those empty calories off the night of the 24th at the Lagerfest After Party with DJ's Jessicat and Danny Dodge -- This event is free and hosted by White Owl. Don't blow it, and make sure you're at this year's very first Lagerfest! 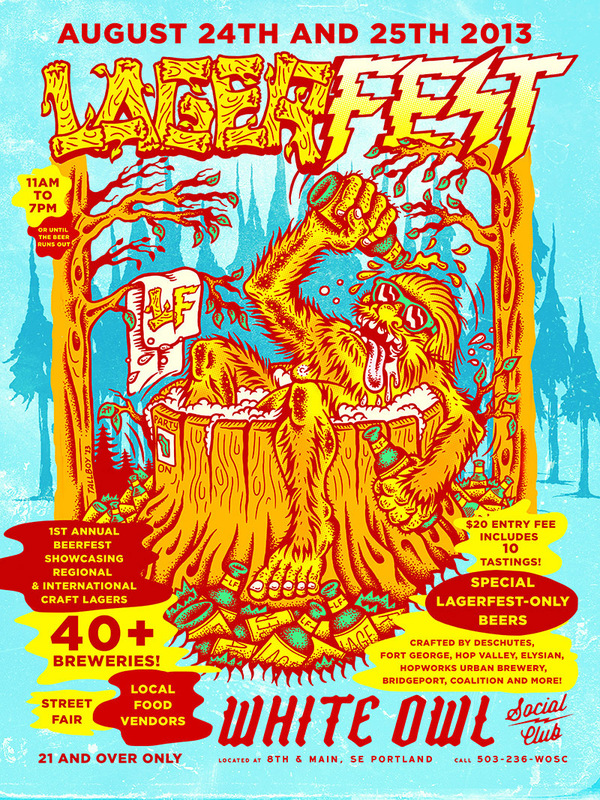 A portion of the proceeds of the Oregon Lagerfest go to the Pixie Project & 91.1 XRAY.fm. 11am - 7pm both days.